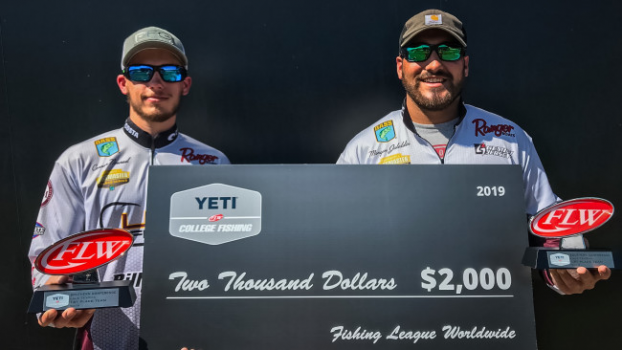 The University of Louisiana-Monroe (ULM) duo of Connor Nimrod of Monroe, Louisiana, and Morgan Jalaldin of West Monroe, Louisiana, won the YETI FLW College Fishing event on Lake Texoma presented by Bass Pro Shops last weekend with a five-bass limit weighing 18 pounds, 15 ounces. The victory earned the Warhawk’s bass club $2,000 and a slot in the 2020 FLW College Fishing National Championship. 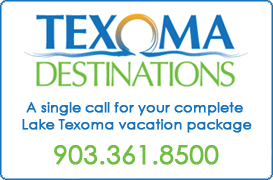 The duo described their winning area as a pea gravel bank that had isolated, broken-off bushes in 2- to 4-feet of water. They managed to catch 7 or 8 keepers in their fog-shortened day, all coming on Ned rigs. They fished Z-Man TRD Crawz and BioSpawn ExoSticks that they cut in half on their Ned Rig setups, and credited their long practices and patience as the key to their victory. “I think the key was really buckling down in practice,” Jalaldin said. “We had never fished here before, but we were out there for three full days, sunrise to sunset, to practice and learn the lake. “We were able to catch every fish in that area by really slowing down and fishing very thoroughly,” Nimrod went on to say.